Welcome to eNerds, Chemistworks! Chemistworks has four sites around Sydney and specialise in a range of health services including Sleep Apnoea, Cardiovascular Risk Assessment and Weight Management. They are committed to optimising your health and wellbeing through a mix of traditional and modern pharmacy services. 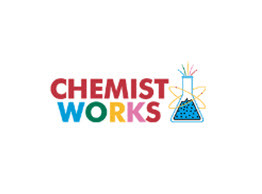 Chemistworks will be utilizing our comprehensive Managed Support Plan, including Workstation, Server & Cloud Management as well as eNerds Dedicated Tech Ops Coordinator. eNerds is proud to announce our very own, Holly Melrose, took out the Rising Star Award at the 2016 ARN Women in ICT Awards (WIICTA) 2016! 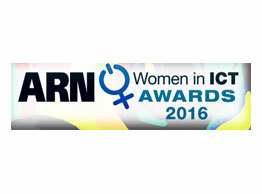 eNerds is proud to announce that our GM Client Services, Holly Melrose, has been announced as a finalist in the ARN Women in ICT Awards 2016. Holly is a finalist in the Rising Star category which recognises the candidate with a commitment to continuous career advancement and a proven desire to reach the next level of professional development in the ICT field. Good luck Holly! This month, eNerds welcomes MI Associates to our client base. MI Associates are internationally recognised for specialising in Sport, Culture and the Tourism sectors. Like eNerds, they are proud of their long-standing client relationships, and realise that everyday that they succeed their clients succeed as well. MI Associates will be supported by our comprehensive Managed Support Plan, including Workstation, Server & Cloud Management as well as eNerds Managed Advisory package. eNerds Wins SMB IT Partner of the Year 2016! 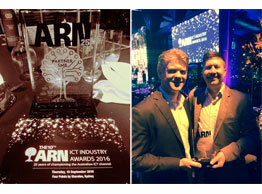 eNerds are very proud to announce we have been awarded the SMB Partner of the Year Award for 2016 at the ARN IT Industry Awards for the second year in a row! 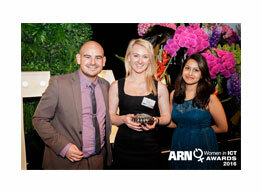 Big thank you to ARN as well as our amazing staff & clients, we couldn’t have done it without you all.